The Midea TTW Arctic King Air Conditioner with Heater provides not only cooling but also heating with remote temperature control. This 78.1- to 89.1-pound unit fits in a window that is 24.2 inches wide. With 14.5 inches in height and 20.3 inches in depth, you get fresh air right from the outside, cooled or heated to your liking, for a room of up to 550 square feet. You don't even need to get up from your comfortable spot to change the temperature or fan speed; just use the remote control that works from anywhere within the room of appropriate size. You can feel good about choosing a product that's eco-friendly with its refrigerant R410a. There's also an Energy Saver function to keep a consistent temperature in the room. This unit also has a washable filter with easy access to keep the air healthy for your lungs. It operates at 12,000 Btus, 208 V, and 20 A. Make sure you have a three-prong outlet near the window that you will install this unit in. Don't worry if there's a power outage. Once the power resumes, the unit will automatically restart at the previous setting. Midea is the largest producer of major appliances in the world and wins 40+ design awards at global design shows each year. Midea is also the No. 1 brand of air coolers. Their promise is ""to provide surprisingly-friendly solutions for the one who treasure those tiny moments at home."" 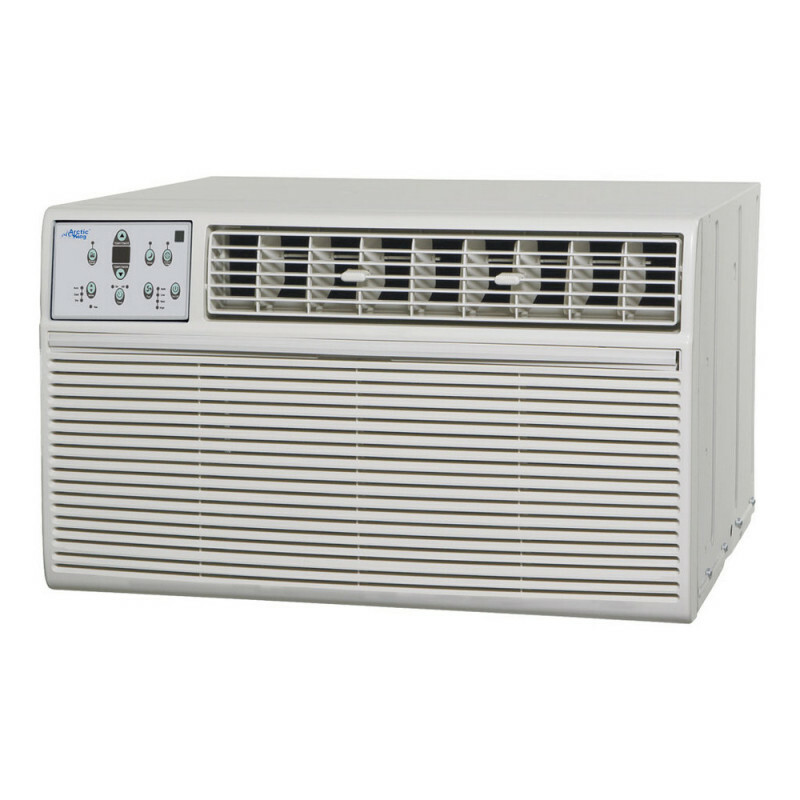 So, go out and buy a Through-the-Wall Arctic King Air Conditioner with Heater today and ""make yourself at home.""